CAREER HIGHLIGHTS: Gutzmer has been Schaeffler's chief technology officer since 2013. A year later he added the title of deputy CEO. He joined Schaeffler as board member for technical product development in 2001 after 17 years with Porsche, where he held key roles in engine and vehicle development. Gutzmer has a doctorate in internal combustion engines from the University of Stuttgart. REASON FOR WINNING: Under Gutzmer's guidance, Schaeffler has helped to develop a 48-volt hybrid prototype that can reduce CO2 emissions in a compact car to less than 85 grams per kilometer. A variation of this system is already on the road in the new Renault Scenic minivan, making it the first 48-volt mild hybrid offered in Europe. 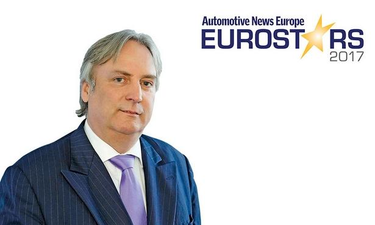 It won't be the last because Gutzmer believes that 48-volt hybrids have the potential to dominate Europe's powertrain market.